For followers that have been following PROPCAFE review, you would realize by now PROPCAFE follow closely launches by Monoland. From the time Monoland launched Vipod way back in 2010 followed by SOHO Suites and to last launch in 2014, Vortex (where they completed the 58 storey building in record time 26months from SPA) almost all their projects were sold out without much advertisements and promotion and fanfare. Their modus operandi is always the same, no frill deal without any rebates or discount, unit allocation without the privilege to choose units, pay the full 10% downpayment with SPA signing on the spot without the hanky panky stickers’ game. In some other developments, the buyers just pay the booking fee and drag the SPA signing with many excuses. PROPCAFE members has experience dragged the SPA signing for close to 9months before officially signed it. Not with Monoland. In exchange with all the no frill deal, you get a property within prime KLCC area with price significantly below the current market price. In fact, Monoland is a disruptor in KLCC where they make it affordable for investors to buy property in KLCC. With this, PROPCAFE welcome you to read Monoland’s latest launches. Sky Suites @ KLCC. The development is with frontage of vibrant Jalan P Ramlee and a shame that developer didn’t take advantage of the frontage to build retails along and rather developer has tuck the retail lot at inner side of the development with Idaman facing. 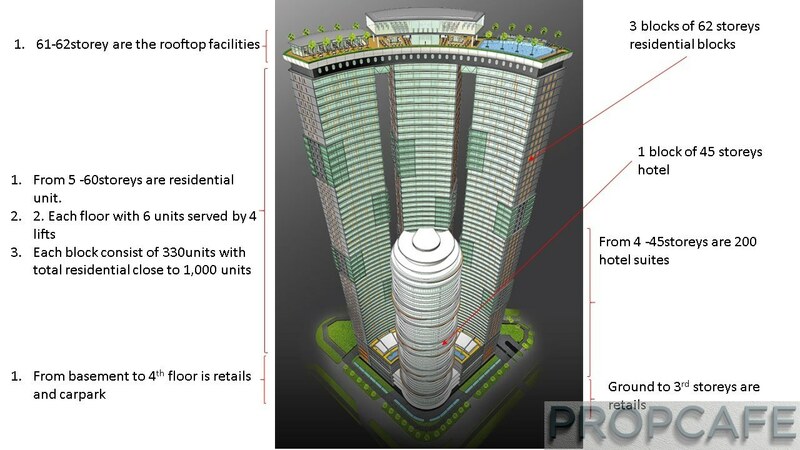 However on other note, developer has position a 42 storey hotel. Surrounded by prominent landmark such as One KL (famous with 99pools and 98 apartment tag), Beach Club and of course PETRONAS Twin Tower, Sky Suites @ KLCC is prominent on your left when you are turning to Jalan P Ramlee from Jalan Sultan Ismail. In fact in future it will be one the landmark in this area with Marina Bay Sands look alike façade. KLCC can be nightmare especially you are caught in one of the notorious jam. For example the trip from Marc Residence to Pavilion can take you 30-45m during peak hour (no joke)! Some with one way road and it can take long drive just to reach home. Classic example is St. Mary Residence. 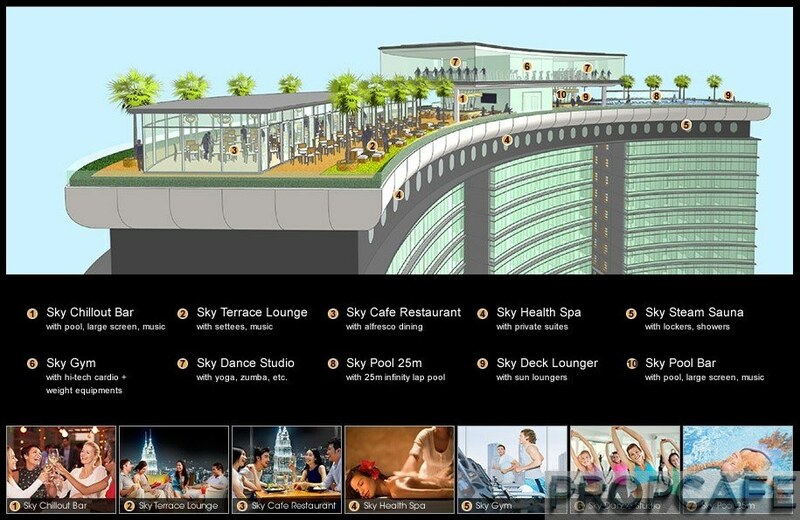 How about Sky Suites @ KLCC? 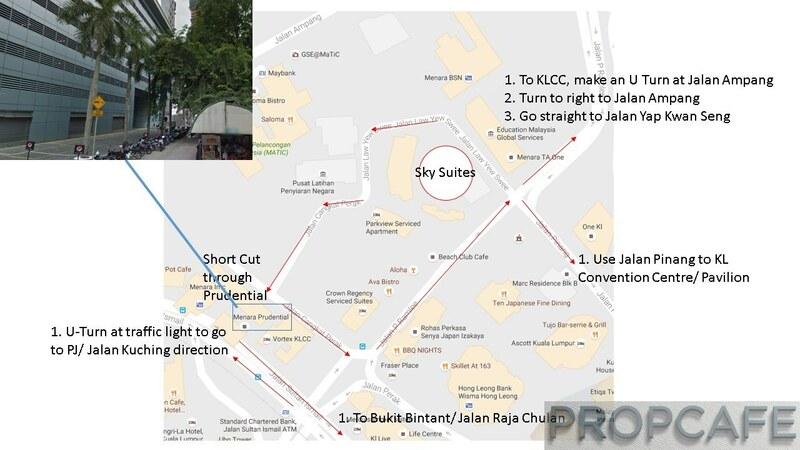 For the ingress if you are coming from Jalan Sultan Ismail, it is pretty straightforward just turn left to Jalan P Ramlee and after the Beach Club just turn into Jalan Law Yew Swee where the access is shared with Menara TA, Idaman Residences and Parkview Residence. If you are coming from KLCC or Jalan Ampang Side, the 1.5km driving will take you a detour to Jalan Pinang and Perak and finally join back to P Ramlee. In many years, the developers has churning out a very safe façade (whether actual or artist impression wise). Monoland has been pretty bold with Vortex’s artist impression however the final delivery especially the spiral impact is not as bold as what PROPCAFE wished it to be. Still it is decent attempt especially Monoland able to come out the practical layout for each unit. For those who have been following architectural around the world, we have twisted tower (Cayan Tower) in Dubai that twisted 90 degree, the abandoned Spire Chicago, The Shard at London and many other iconic architectural that has become the landmark of the city. For past few years, the end products has been pretty “safe and boring”. Most of the time the building is just fully cladded. 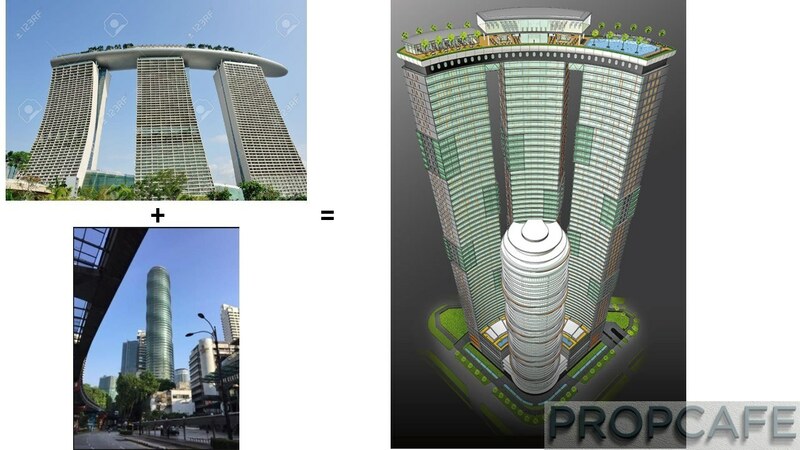 For example the completed Berjaya’s Ritz Carlton and Banyan Tree. Some of the better thought façade such 8Conlay however these projects cost from RM2700psf onwards, a hefty sum by any measure. Location is very important factor in buying decision however an iconic façade it will stir the human’s desire to own a piece of action. Classic example would be Capers and Fennels at Sentul East. Despite located in location that many consider as “undesirable”, YTL managed to fully sold Capers due to its iconic façade and reputation of the developer. Sky Suites @ KLCC will not be the iconic landmark of KLCC but author believe it is bold attempt by developer to make KLCC landscape more colourful rather than another development churn out from the mill. Consist of 3 residential blocks of 65 storeys and 1 block of 45 storeys hotel sit on 2.5 acre of freehold land, Sky Suites @ KLCC will have close to 1,000 residential of studio, 2bedrooms, 2+1bedrooms and 3 bedrooms. As usual with past project, Monoland use plenty of glasses to clad the whole building. To break the monotonous glass effect, some levels will have protrusion so that it is not so boring. The icing of the cake of course the rooftop facilities on 61-62 storeys that overlooking majestic PETRONAS Twin Tower, a magnet especially countdown during New Year Eve. 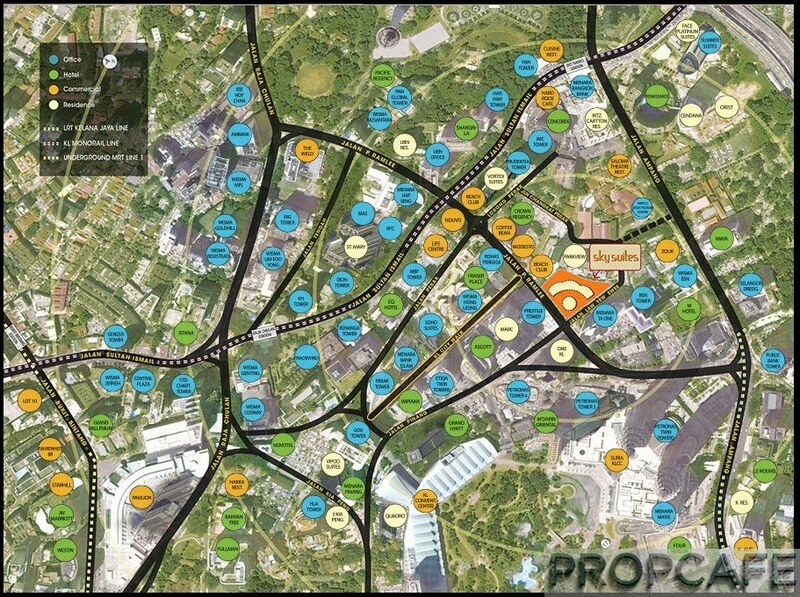 The idea from developer is to deliver a development with rooftop as focus point. The unit is efficiently designed to minimize any space wastage. Monoland signature in each of their development is their practical and efficient layout without much of space wastage. The bedroom is not oversized designed and able to fit in wardrobe, king size bed, side and dressing tables with space for walk around. The living, dining and kitchen space is adequate and comfortable for KLCity living. In the past project such as Vipod and Quadro, quality standalone bathtub is provided however from SOHO Suites onward, only standing shower with rain shower stand is provided. Certain expats such as Japanese need the bath tub. In general, the three blocks are identical with 6 units/floor. 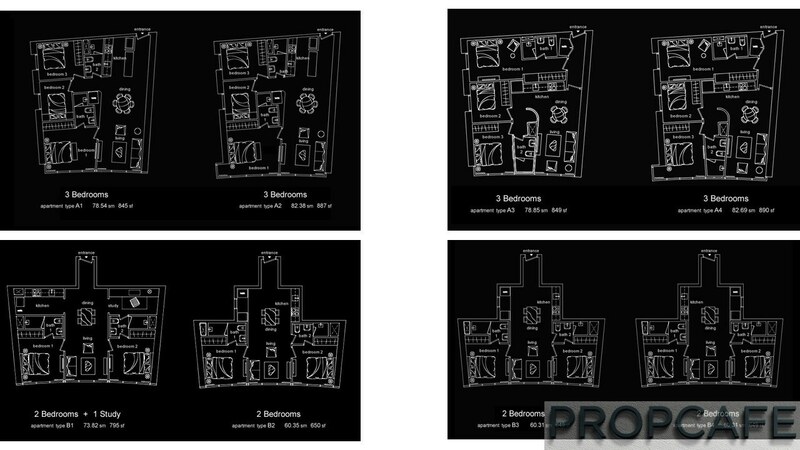 The size ranges from 550sqft to 890sqft with 1, 2 and 3 bedrooms. The 1 bedroom is odd units and not opened for sales. In general there are 6 type of layouts. Type D, E, F and G are facing outer where else type A, B and C are facing the inner with type A & C and D & F are identical. Unlike Vortex where the living and dining is a V shape, the layout in Sky Suites @ KLCC is much better and squarish. All bedrooms enjoy window, sufficient size for either double and single bed or wardrobe. Adequate space for furniture placement in living, dining and kitchen. 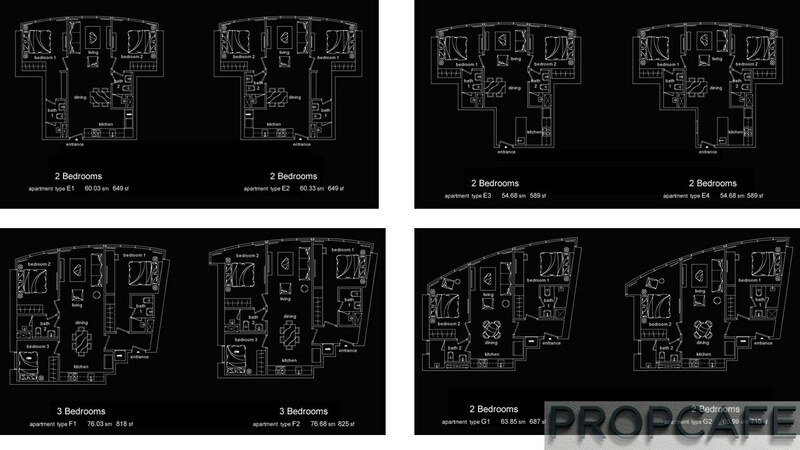 In author’s view, type B1 is probably the best layout with kitchen and study area are tucked away for privacy. Essentially type B1 is the better layout version of Vortex! Developer has improvise from the past project and provide dual keys provision for type A3&4, C3&4, D, F and G. For buyers who buy for own stay and would like to rent out extra room, or investors who want to increase yield by rent out separately, this dual key feature is addition feature. 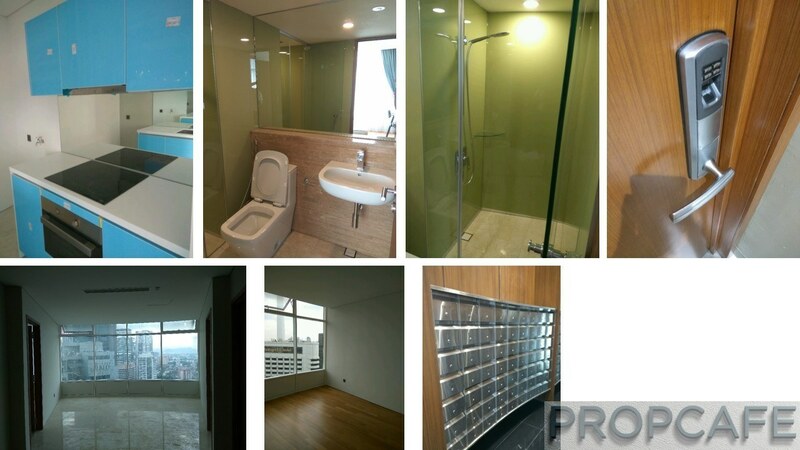 However PROPCAFE was told that for the studio, the pantry provision (water supply and outlet), power point etc. is not provided and therefore it is addition renovation cost if buyers decided to install a pantry in the unit. 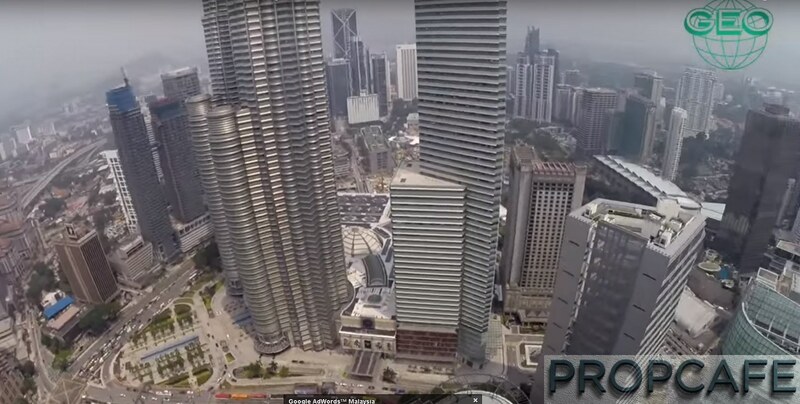 Most of the perception that Sky Suites @ KLCC is surrounded by Skyscrapers and without much views especially with first phase where Monoland only launched until 40th storeys. The 2nd phase of higher floors will be launched later stage with higher premium. This is understandable as the buildings surrounded Sky Suites @ KLCC ranging from 34 to 41 storeys. 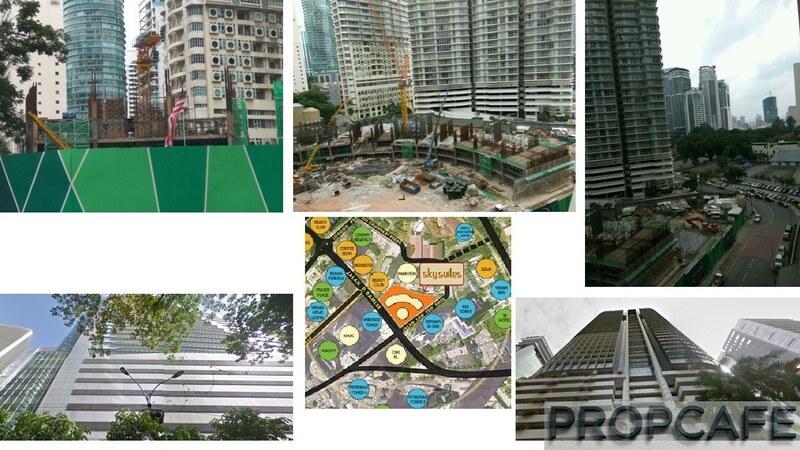 The photos below illustrate most facings will blocked by Parkview, Idaman, Menara TA One and Menara Prestige. However if look closely, there pocket of open space even with the lower floors. 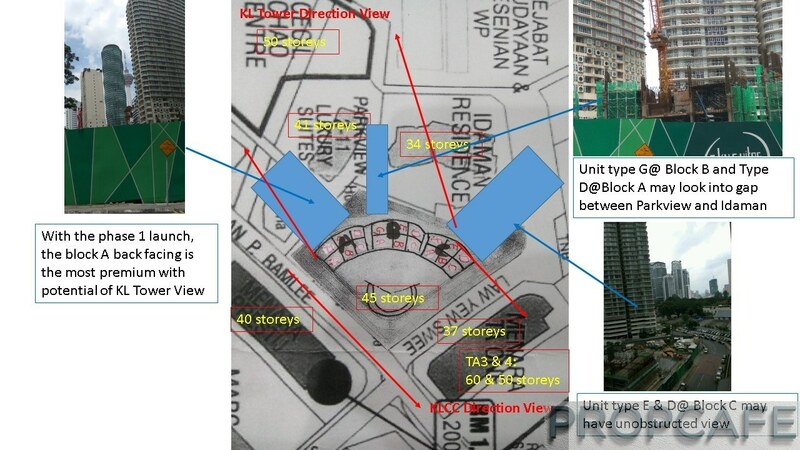 For example for some smart investors who explored the site has visited Menara TA One and found out that Unit type G@ Block B and Type D@Block A may look into gap between Parkview and Idaman. And these are one of the cheapest prices psf wise in whole Sky Suites @ KLCC. However for those who emphasize of overlooking iconic KL Tower, unit E and F in Block A should able to get glimpse of it with small premium. However do note that these units are overlooking the pubs which may be noisy during the night. Obviously the safest views would be the units with inner facing and you will not get any surprise from some of the still empty land around Sky Suites @ KLCC. Most of the building already built and for some buyers, they will rather pay extra premium for certainty. 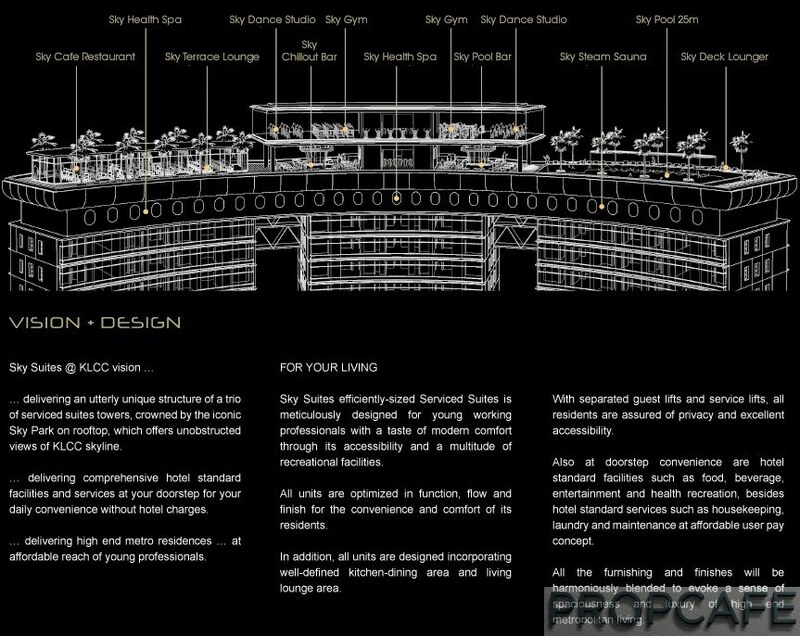 The star of the development no question is the rooftop facilities at 61 and 62 storey of the development will be the envy of the KL Lites. Overlooking the majestic PETRONAS Twin Tower and partial KL Park, it will attraction especially countdown during New Year Eve. Similar concept to Vipod, Quadro and Vortex, the entrance to the rooftop facilities are based on membership and pay as you use. There are pro and con. The Pro is the maintenance and up keeping of the facilities do not form part of the maintenance and sinking fund therefore keeping the fee affordable. However in the same time, the parcel belongs to the developer and even owners need to pay the membership in order to gain access and use the facilities such as infinite 25m pool, gym, sauna, bar etc. For those who been to Vipod, expect to have similar level of landscape, gym equipment and pool as per Vipod and Quadro. For the reason known to them, the finishes for the past development has been pretty similar. Where if you are not informed you probably think that the pool for both are the same condo! Similar finishes of the glasses cladded wall at lobby can be observed and similar design probably would be applied in Sky Suites @ KLCC as well. 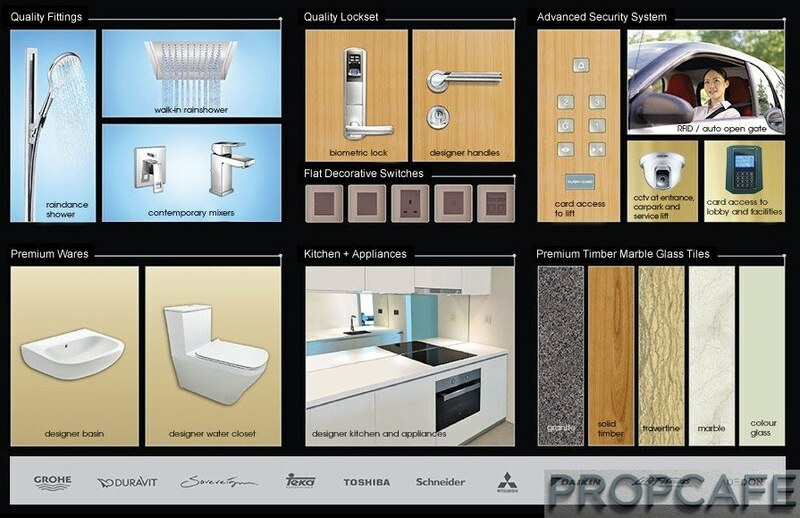 Again no surprise of the material selection where the bathroom fittings digital lockset, kitchen cabinets, white goods are pretty consistent with past project. The finishes provided by Monoland is pretty decent and good stuffs. Marble flooring on dining and living area, solid timber flooring on the bedrooms, digital lockset on main door, Grohe and Duravit brand for the bathroom fittings, Teka Hood, Hob and Microwave Oven and Daikin Aircon. However Vortex buyers were quite disappointed when found the partition wall is made by dry wall and ceiling height is significantly lower than their past projects. For Sky Suites @ KLCC, the good news is the ceiling height will be slightly higher than Sky Suites @ KLCC however still not as high as their past projects. Most likely the dry wall again will be used as partition wall in Sky Suites @ KLCC. The property market has been pretty soft for past two years with all the tightening measures by BNM and Malaysia has one of the highest household/GDP in Asia making consumers are hesitating spending on big ticket such as property. In the past when Monoland launch the project, it is usually sold without much of the advertisement and fanfare. 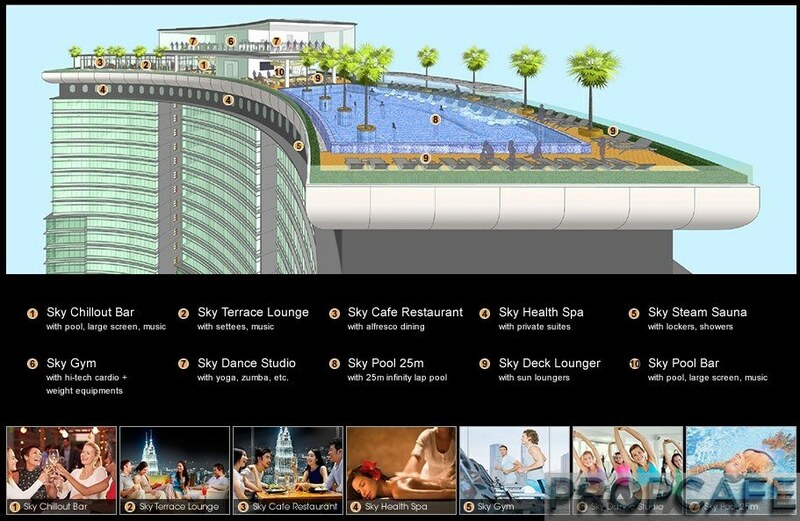 How about Sky Suites @ KLCC? The modus operandi is similar where past purchasers were called up to be offered unit without much option to choose unit. Once buyer agree, they will be given few days grace period to sign the SPA with full 10% +10% deposit payable to the developer. The reason of 20% because developer has started physical work since early of the last year and has billed the 2a. The completion of the works below the ground including the piling and foundation. How about the price? The unit is priced as low as RM1050psf (yes, you read it right) for the units with facing Idaman directly. Those with better facing such facing Kl Tower and BSN as well as inner facing (with P Ramlee ) are slightly more expensive, psf wise. Every floor is increased by approximately RM3K, a reasonable increase in KLCC area. 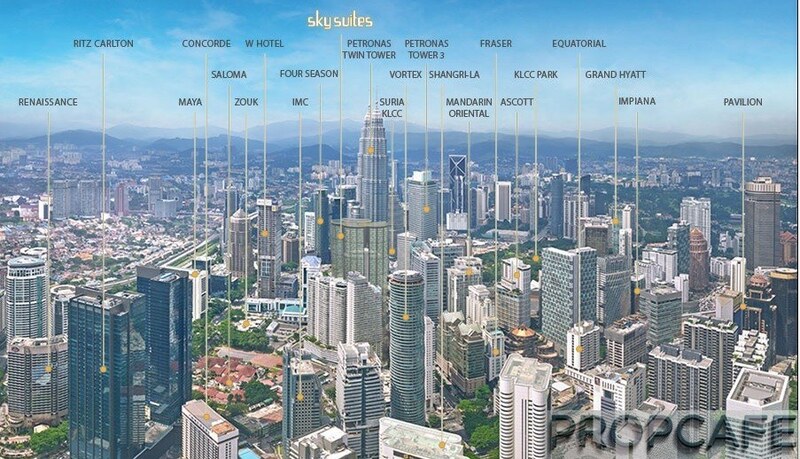 Majority of the units are offered below RM1m inclusive the 3 bedrooms making Sky Suites @ KLCC one (if not the most affordable) 3 bedrooms in KLCC. A quick search in Iproperty has yield no result of any 3bedrooms priced below RM1m unless you are willing to venture to area such as Setiawangsa, Chowkit and Titiwangsa. Branded Residences has gain popularity and table below with extracted from Focus Malaysia illustrate the pricing of these developments. Sky Suites @ KLCC is definitely not on par with these branded residences however the pricing gap is simply too wide to be ignored. Branded Residences might appealing to haute buyers however for property that priced 50% cheaper for example compared to Banyan Tree and W Residences, it is no wonder that Sky Suites @ KLCC immediately appealing to investors and buyers alike who are looking into buying KLCC properties despite the current soft property market. 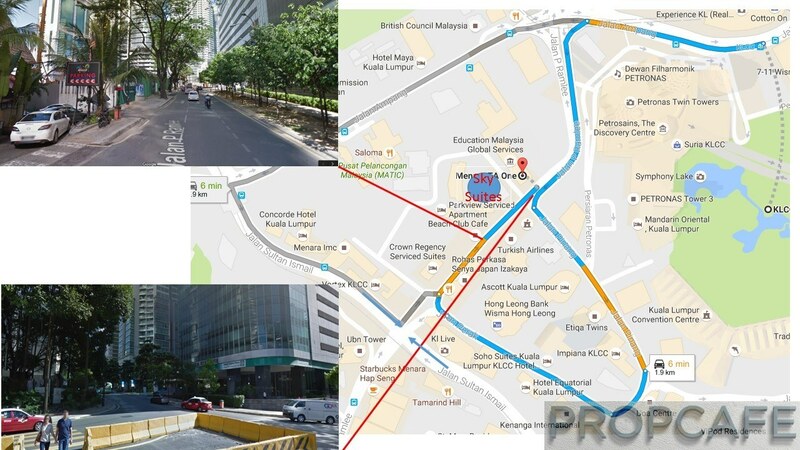 Where PROPCAFE has painstaking list all the properties located within KLCC Zone 1 & 2 with information on the finger tips. 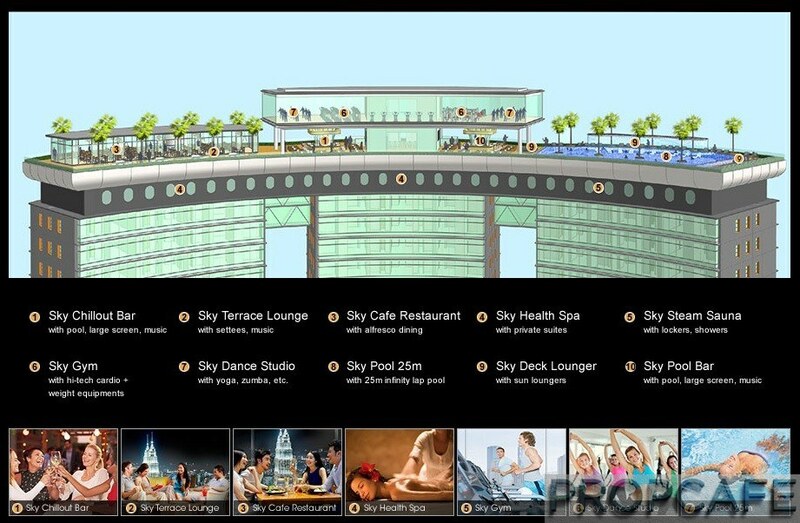 Sky Suites @ KLCC is undeniable located in Prime Zone 1 of KLCC. By any standard, a unit in Sky Suites @ KLCC is not affordable as the minimum price is fromRM720K onwards to more than RM1m for high floor 3 bedrooms. However an interest finding from Iproperty where you couldn’t find single advertisement for 3bedroom priced below RM1m in whole KLCC. 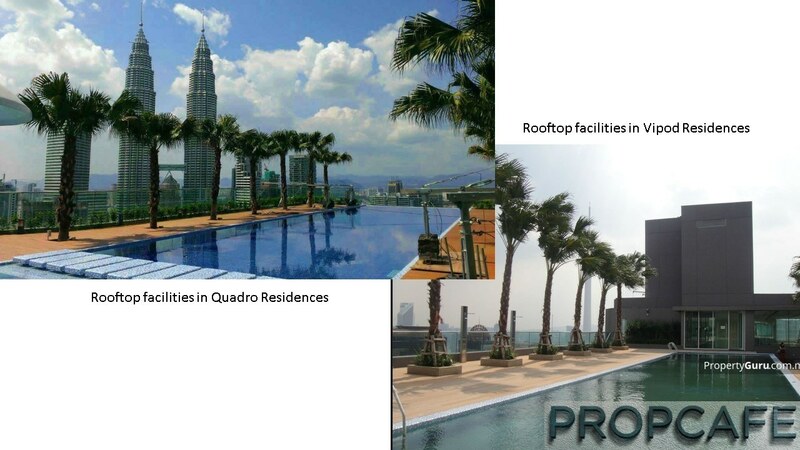 Whether it is supply or demand issue, the purchasers shall find out upon the Sky Suites @ KLCC VP-ed. Also there are many upcoming development such as Star Residences, Ceylonz, Cecil Chao Centre, Eaton, Stonor, 8Kiapeng etc. 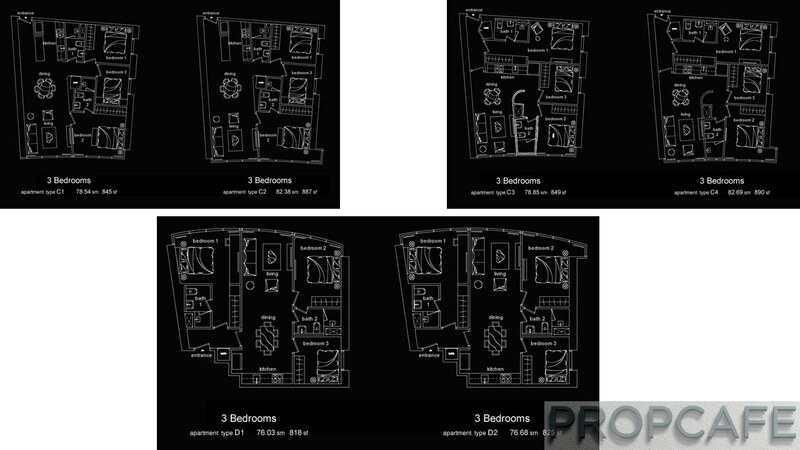 that majority of the units are one or two bedrooms. It will be interesting to see the dynamism of supply versus demand of KLCC property market in next 3 years. Also with Monoland despite a million dollar property purchase, there is not much of customer service and sometimes the buyers feel that the developer take them for granted due to superior location with attractive prices. Over the years, the customer relationship has improves however there are still area where improvisation for example the execution and delivery of the project where sometimes it’s delivered in rush despite the SPA contractual deadline is still far away. 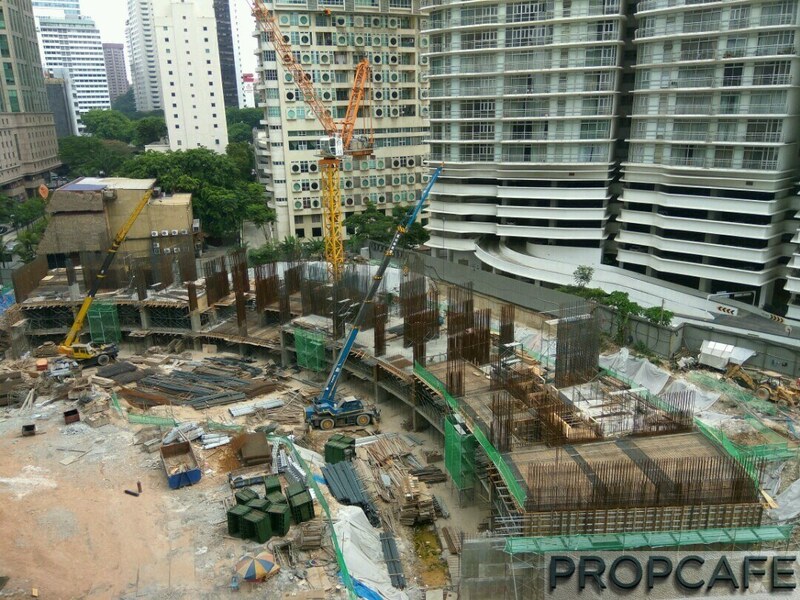 Also the mystery of Monoland can escape without giving carpark to residential units… Hm…. Anyway the past buyers are relative happy with the capital gain for the past projects and happily repeat the purchase in Sky Suites @ KLCC due to superior location and layout, attractive psf and low absolute price and with concept of overall development. However with almost 1K units of residential, it will take time for the market to digest all the units at one go. You’re saying that all units come without car park?? Really? None at all? No carpark which also apply to their previous project like Vortex. Of course, carpark is available for rent. Tenants in KLCC, majority do not need it. Well, it should link back to the price your pay. With such price, is it still worth it even without cp? Do the maths. I still see happy face from buyers. Lol. Developer forfeit 1% of purchase price if unable to obtain loan, and request to hand over all original documents including periodical billing and SPA (client copy) for the termination process. While they use the Sales and Purchase Agreement Clause 6 Item No 3, to forfeit the 1% purchase price, it did not follow the same clause “Developer shall within 30 days of the date of termination, refund the Purchaser the balance of any amount paid by the Purchaser.” We were told to wait for 2-3 months for the refund, and their sales reps are rude too. When we questioned about this clause, they all missing in action. Good luck! This review have been instrumental in helping me decide to proceed with this property.. thank you for the comprehensive and unbiased write up! Hi Adol. Thank you for your kind words. We are glad to here that our effort been able to help you in your property decision making. Your words are very meaningful to us to continue our journey in contributing to the Malaysia property community. All the best to you and hope to hear from you again. Does anyone the contractor name or the achitetural company managing this construction?